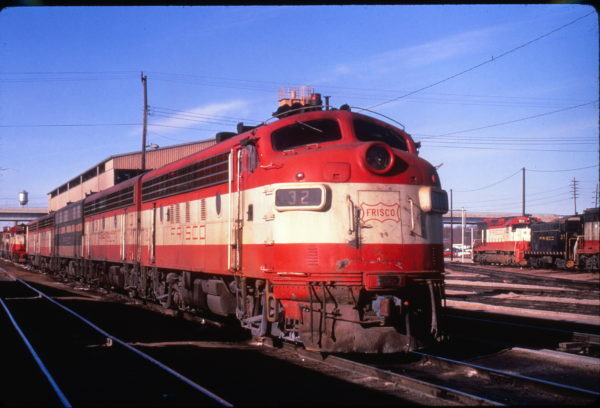 F7A 23 at the Illinois Central crossing in Memphis, Tennessee on November 17, 1968 (Al Chione). Thanks to Karl Brand for the corrected location information. 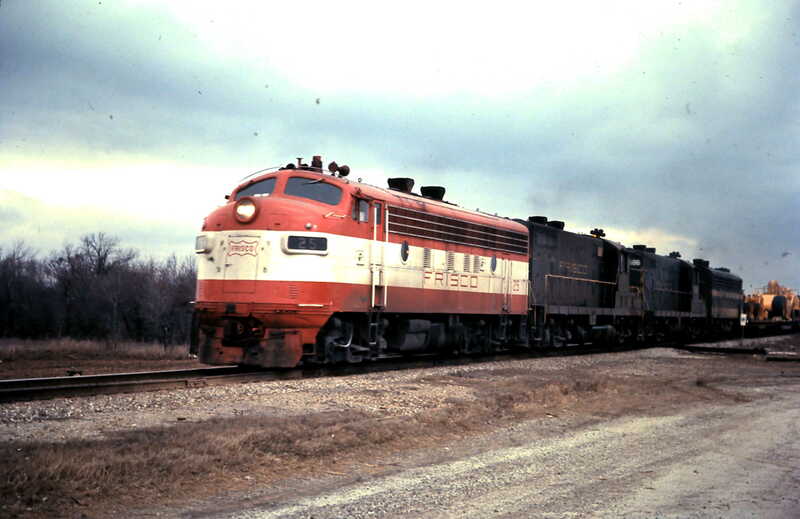 F7A 5018 at Rolla, Missouri on October 5, 1967 (Mike Condren). 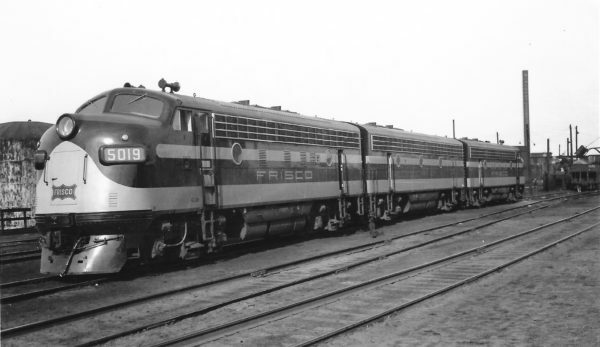 F7A 31 and U25B 817 (date and location unknown). F7A 25 (date and location unknown). 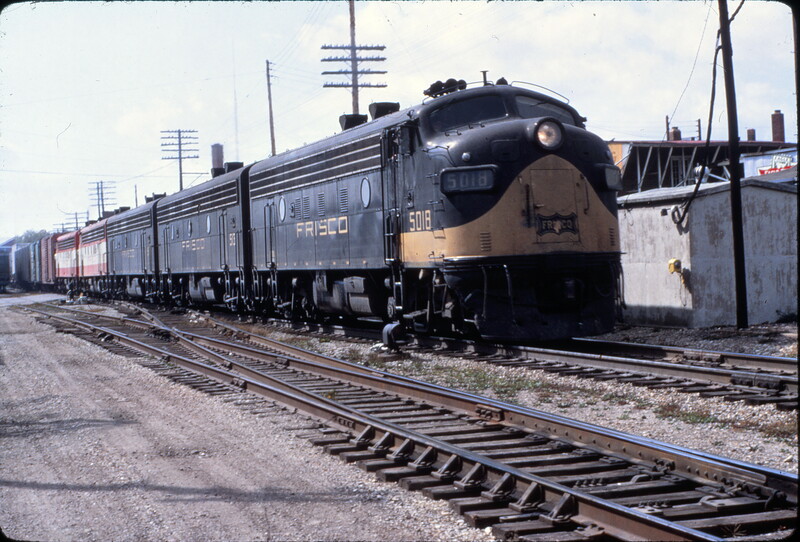 F7A 5019 at Springfield, Missouri on March 20, 1949 (Arthur B. Johnson). F7A 32, SD45 911 and VO-1000 217 at the east end of Springfield West yard (date unknown) (R. Wallin). This is at Springfield. The structure behind the F units is the engine service shed at the west yard. Beyond that, running across the whole image, is the Kansas Expressway viaduct. Further in the distance, above the locomotives that includes the F units, is the water tower at the shops. Special thanks to Paul Bender. 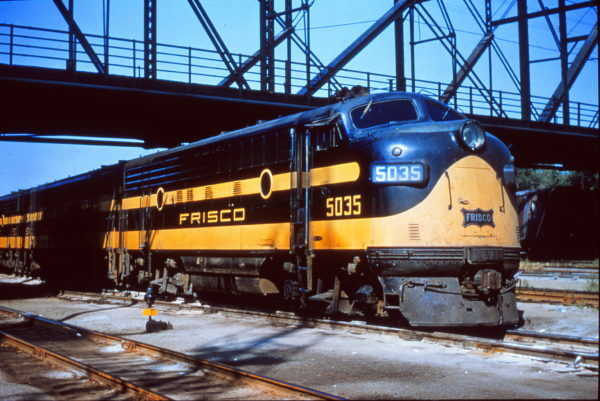 F7A 5035 at Lindenwood Yard (date unknown). Location is St. Louis, Missouri. The locomotives are in the Mechanical Department’s service tracks area at Lindenwood Yard. 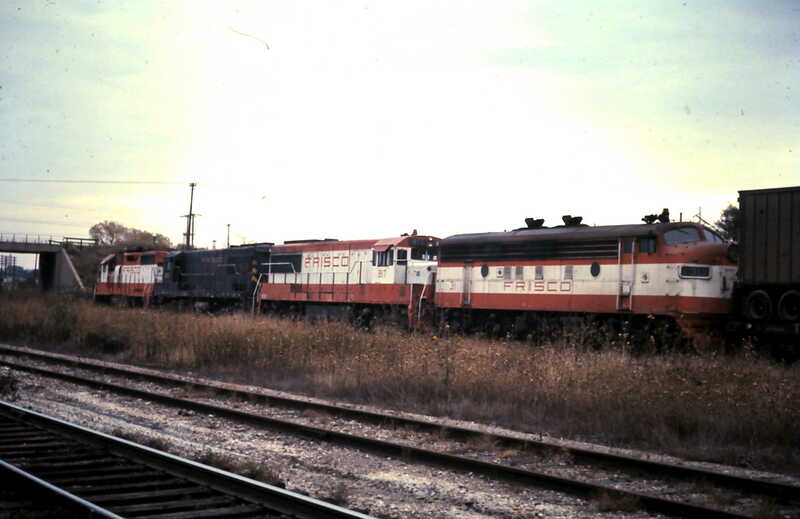 They are sitting southeast of the diesel shop. The bridge overhead is Fyler Avenue. 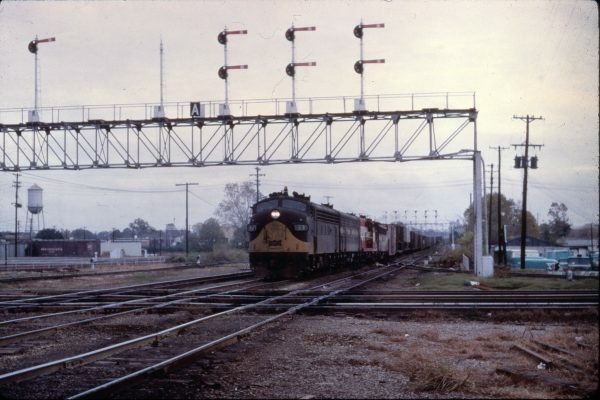 The photograph is from the Western Rail Images collection of railroad photographs by Jim and Doug Ozment. 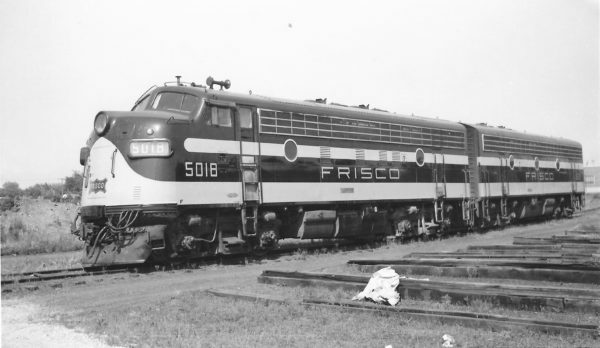 This view is from their group of photos titled “Frisco – St. Louis & San Francisco Railroad 1950s”. It is listed as their image number SLSF 49 and Frisco 49. Photograph is dated August 29, 1954. 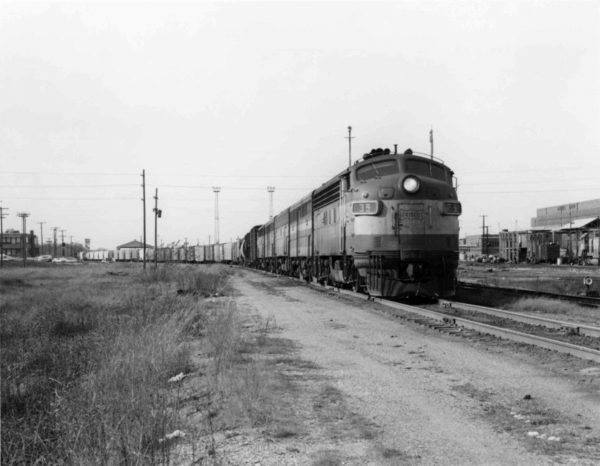 F7A 24 and GP7 629 at Sapulpa, Oklahoma, (date unknown).